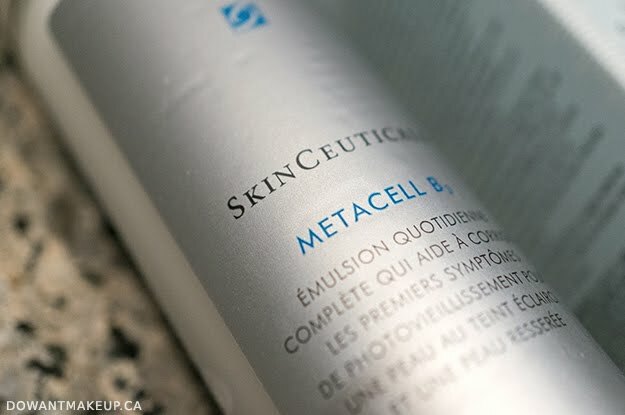 MetaCell B3 is described as an "emulsion"-- this is the step that would come after actives and toners, and before a moisturizer like Daily Moisture. 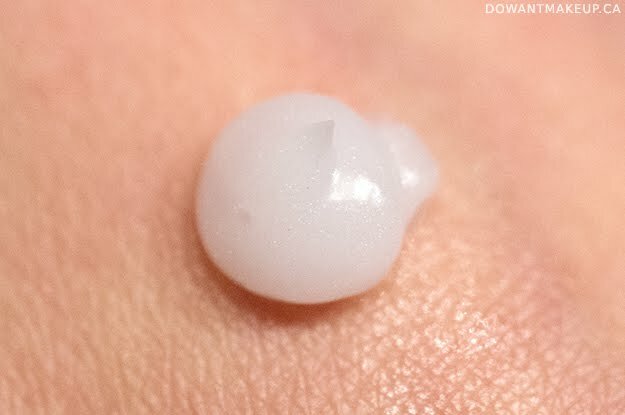 The texture is a lightweight cross between a gel and a lotion. If you look closely at the photo, you can see a very subtle iridescent effect, though I don't think it makes a difference to the face once applied. The finish on the skin is natural and non-tacky. With a high amount of glycerin, it also serves to bind water to the skin, which in turn helps keep my skin smooth and flake-free. 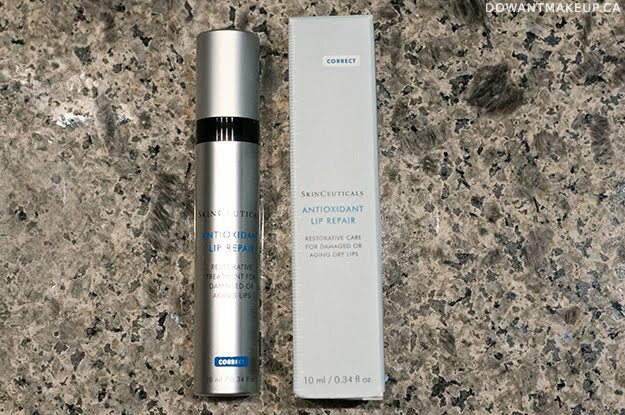 The formula also contains tripeptides to help with signs of aging, but I can't comment on its effectiveness since I'm still relatively young. 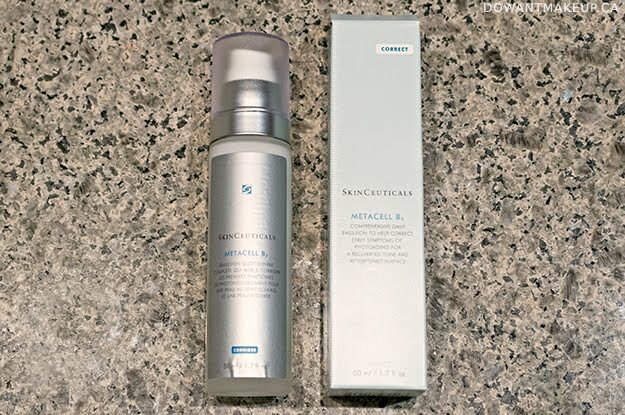 For me, although it's a nice product with the glycerin and niacinamide, I wouldn't be able to justify the $110 USD pricetag, mostly due to the fact that I'm not able to properly assess its anti-aging claims. 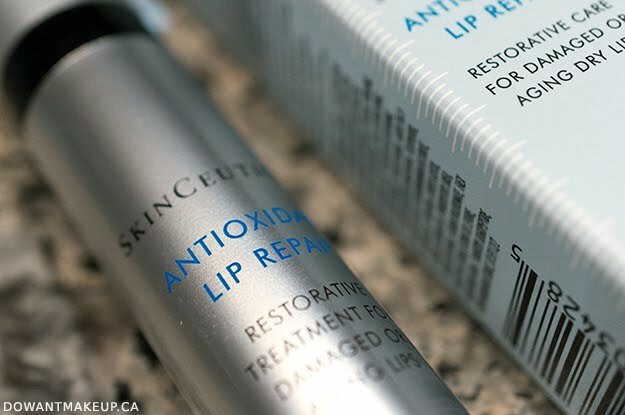 Antioxidant Lip Repair is unlike any other lip product in my stash right now. 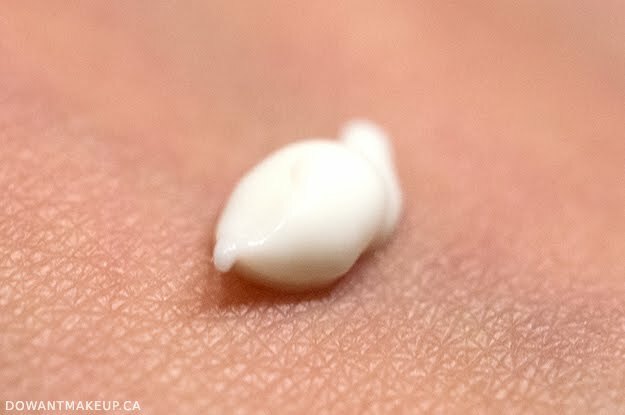 Instead of a balm in a twist-up tube or pot, it's an airless pump that dispenses a rich lotion-cream. The packaging keeps antioxidants such as vitamin E and milk thistle extract stable, while a combination of emollients and humectants (glycerin, sodium hyaluronate, hydroxyethyl urea, microcrystalline wax) hydrate and protect the lips. I was a bit alarmed to see drying denatured alcohol on the ingredients list, but my sensitive lips had no problem with it. I'm assuming it's there to enhance penetration of other ingredients. I honestly didn't know what to make of this product at first. But I applied it one day in the morning and absent-mindedly touched my lips later in the afternoon--I was blown away by how soft and supple my lips felt. Really. Maybe it's partly because of the unconventional creamy texture? I use about half a pump and apply this all over my lips. It might look whitish at first, but disappears on the lips with a little bit of rubbing, and leaves a natural, almost-matte finish (in contrast to lip balms with lots of lip-hydrating oils that can leave a slippery sheen on the lips). As a result, it's a nice choice to prep lips with before applying lipsticks, since the lip colour shouldn't slide around too much with Antioxidant Lip Repair as the base. To get the most out of Antioxidant Lip Repair, I prep my lips by using a lip scrub first. It's the kind of product that won't work well if you have a lot of dry bits clinging to your lips. 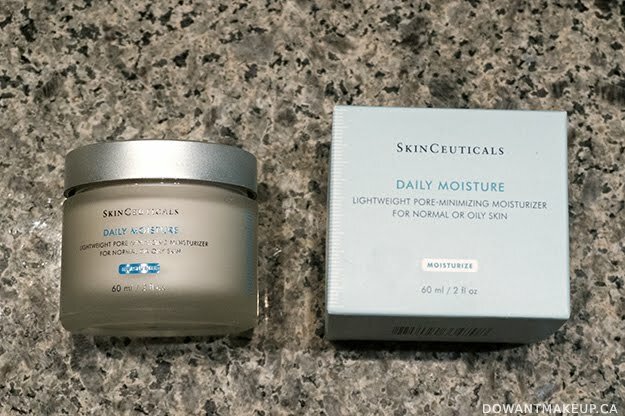 If I'm using it before bedtime, I'll also layer a very thick, occlusive lip balm on top to lock in all the moisture and wake up with amazingly smooth lips. Is it worth $38 USD? Actually, out of the three products featured in this post, this is the one I would most likely say "yes" to. I don't have anything quite like it, and it genuinely wowed me at how soft it made my lips feel. I can't really pin down a particular ingredient in the list that would make it so good, but it just works.